After a rocky month in March, we close it out with the final blockbuster in a month filled with one every week and as nature would have it, the last week of the month is where the formula finally falters. After Logan, Kong; Skull Island, and Power Rangers all performed well on their inital weekends out the gate it was Ghost in the Shell, the film based on Masamune Shirow's original 1989 manga as well as the 1995 anime, that fell flat. With a reported production budget of $110 million the PG-13 rated, Scarlett Johansson-starrer brought in only $19 million from 3,440 locations. This was well below industry expectations as most had the film at least scoring a $30 million opening. I preface the numbers with the rating due to the fact most expected or at least hoped that Ghost in the Shell might appeal to those who recognized the brand as well as to those who made Johansson's 2014 A.I. action effort, Lucy, a hit. Lucy was an R-rated original property though and Ghost in the Shell has a storied past of being a groundbreaking graphic novel of sorts before being turned into a beloved animated feature in the mid-90's. Fans of the series weren't necessarily happy about the idea their source material was being mined by those in Hollywood who will take any brand and try to turn a profit from it and there is of course the outrage over the casting of a white actress in the lead role over a Japanese actress. Still, the problem here seemingly lied in none of those factors (fans were always going to be too curious to stay away), but rather the studios fear of going all out with the material. The film is fine enough and looks fantastic on the big screen, but after the successes of Deadpool, the John Wick films as well as Logan it seems going with the safe, PG-13 option so that more people are allowed to see your film doesn't necessarily yield results where people actually show up to watch your film. In other words, go big or go home. 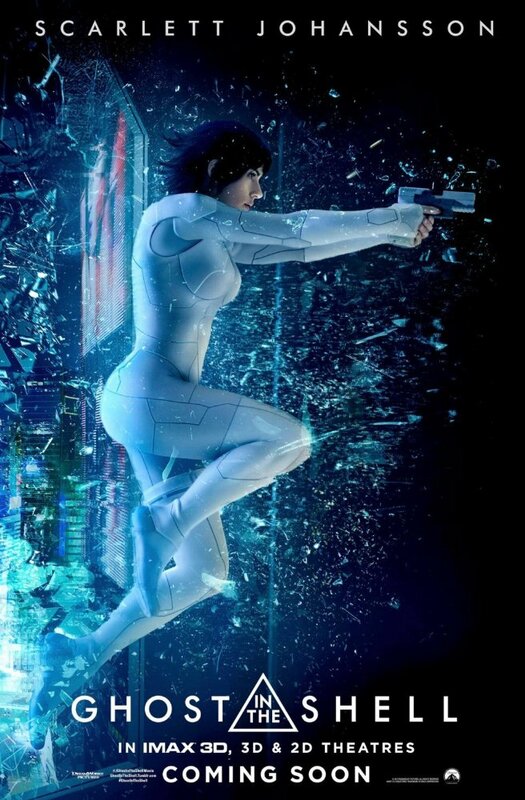 Another interesting factor is the breakdown of opening weekend audiences for Ghost in the Shell were 61% male versus 39% female whereas Lucy had an opening weekend audience that was 50% female. Wherever the fault may lie, one thing is clear: we won't be getting any Ghost sequels anytime soon. Be sure to follow us on Instagram, Twitter, and subscribe to our YouTube channel as we have a new review (or reviews) up each week! Read my full Ghost in the Shell review here.